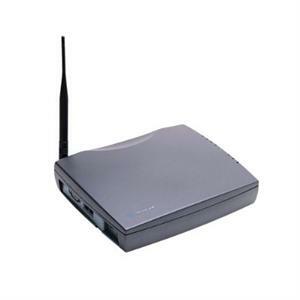 The SX6TE Fixed Wireless Terminal provides wireless connectivity for standard telephone, fax, and computer equipment. 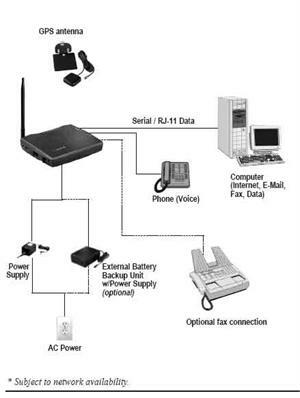 The SX6TE provides voice, EDGE Packet Data, circuit switched data, circuit switched computer fax, and optional analog fax capability. 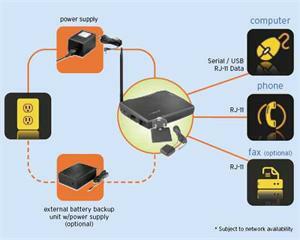 The Telular SX6TE can be used with all GSM carriers. It is an unlocked terminal accepting SIM cards from GSM Cellular Carriers. For details of Telular SX6TE EDGE click here. In areas that have weak signal coverage from cellular service providers, such as offshore, remote areas or indoors, you can combine the Telular Base Station with our Wireless Extender YX610 or Digital Antenna DA4000SBR-50U, and get range of service far beyond your imagination!